Hello to everyone who followed my Mum’s blog’s. I had no idea she was so popular. I am incredibly sad to inform you that my wonderful Mum has passed away. She died peacefully in the early hours of Tuesday Morning 21st May 2013 after a long battle with cancer. My name is Craig Dyson, Mum’s oldest son, and although I have no words to describe how sad we all are at her passing, I will try and do my best to do my Mum’s blog proud when bringing it to an end. I have a confession to make that I did not even know she had done this blog and I have not even read anything from it as yet, but rest assured I will spend the next few days chuckling though it. Her funeral will be held in sunny Brighouse on Monday 3rd June at 13:30. My brain is fuzzy still, but I will let people know where the place is. Anyway sorry to bring you all this news, I will try and compose something fitting to honour my Mum. Yesterday, we set off with the heartbeat gang on a walk along the canal at Mirfield. Because of my illness and also the rotten weather, we haven’t been on one of these walks for ages, and it certainly showed! The others left us for standing, and as usual the weather spoiled itself by throwing it down! Luckily I had had the foresight to take my brolly along, as a second sense told me that as soon as he who is in charge of the weather knew I was out and about, he’d send the rain. Happens every time! (somebody up there doesn’t like me!) Kerri fell further and further behind, but T said he would stay with her and encouraged me to catch up to the others but I couldn’t do it. We three turned around at the ford across the canal, and then slowly made our return. By this time, the rain cloud had disappeared, and the sun came out amongst the fluffy clouds. It was perfect apart from all the puddles and mud that was now adorning the towpath. Nevertheless, it was lovely to be with the gang again, and we eventually arrived at one of our favourite lunch venues, the Railway Inn, where we enjoyed a very tasty lunch. I had a Turkey dinner and Kerri had a burger meal. All for £4.99 each. We swilled that down with an Appletizer and Soda with ice. Some of our walking friends who live not far from us offered to give us a lift home which we very gratefully accepted. Here are the pictures taken on our walk along the canal. Hope that you enjoy them. This blog post created solely with Live Writer, the best blogging editor you can get bar none! Save our Writer! Following being instructed by my Oncologist to ‘sort something out for Kerri’ and following some intense consultations with her social worker, it was decided by all concerned that the best plan was to look at Kerri living in a supported living house with three other tenants who have varying special needs. The only venue with a vacancy was fairly close to where she goes for day care services, and as an added bonus she knows one of the tenants already living there. We visited to look around. 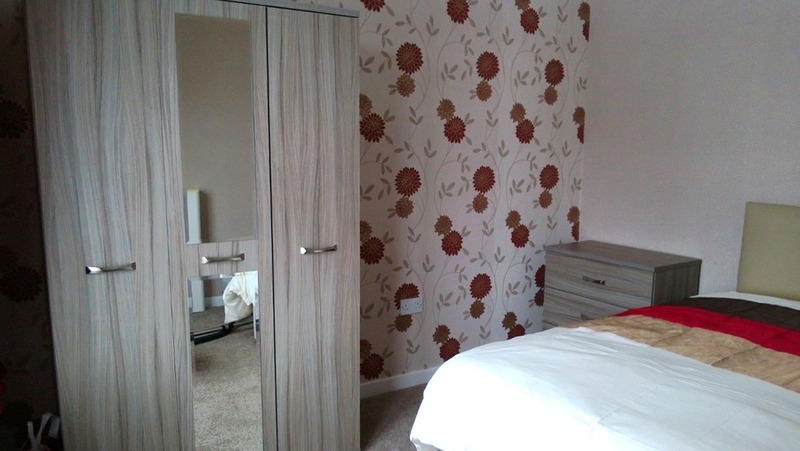 The room that was chosen as her bedroom needed lot’s of work doing to it such as decorating to her taste, new carpet, new furniture etc, and she and I began saving like mad, not an easy task over the Christmas period! Slowly Kerri was introduced to the other tenants and support staff via various ‘tea visits’ and a sleepover which ended up being a complete shambles, where because she couldn’t lock her bedroom door from the inside in order for some privacy and to feel safe, she ended up spending the night sleeping in her friends bed! 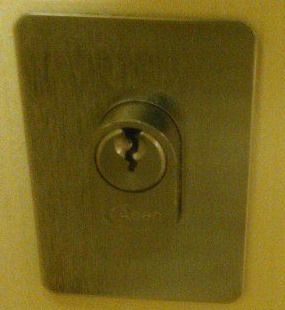 So we obviously insisted on a ‘privacy lock’ being fitted to the door before she was prepared to sleep over again. 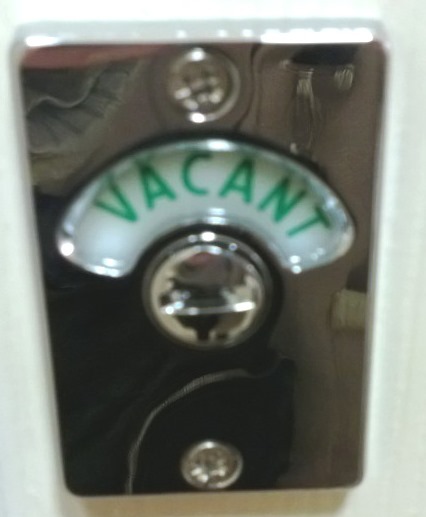 Time went by and eventually a lock (actually an old toilet lock judging by the fact that it stated on the outside of the door ‘Vacant’ when unlocked and ‘Engaged’ when locked!). Whilst up there delivering some bedding for her new bed, we tried the lock out just to make sure that Kerri could move the bolt on from her side at night. All seemed well and although it was a trifle stiff to move, needing a lean against the door to fully lock, she managed to move the bolt fully home. A sleepover was arranged for Tuesday of this week. I envisaged no problems now that her bedroom was looking attractive and she could lock the door. How wrong did that prove to be! Apparently following tea and a bath, she decided to go and lay down on her bed for a nap. Of course this entailed locking her door, when horrors of horrors, the knob on the bolt came off in her hand! She was locked in! Shouting out “Help!” to the staff soon brought assistance and they sent for the fire brigade to come and break down the door so that she could get out! I could see it all in my minds eye, the fire truck lights ablazing screeching up outside, several burly firemen rushing in to rescue Kerri from her predicament! And this is only her second sleep over! Needless to say that a new lock has now been put on her bedroom door that seems much more suitable and really should have been installed in the first place. Where the joiner had got the previous one from I dread to think! A job lot from demolished toilets? To be honest with you all, I’ve actually been having nightmares about this blasted bedroom lock, and doing some internet homework (entailing scouring Amazon and also visiting our local Wicks) I found some really good one’s for just £10 and was actually tempted at one point to buy one and employ my own joiner to fit it to the door! I laughed so much about this incident and my thoughts on how the support staff up there are going to have to adjust to my daughter and her needs (and frequent ‘incidents’!). The other residents have never asked for a ‘privacy lock’ to be fitted to their doors, she has insisted, she knows what she wants, she has demands and voices them in no uncertain terms (though she still uses me far too much as her spokesperson) but little do they know this is probably just the tip of the iceberg. There will never be a dull moment, that I can promise! The most annoying aspect of the whole scenario I am about to tell was that I wasn’t looking up when the blue hood boarded the bus. Instead, I was probably staring at my phone like the rest of the human race seem to do these days and so I missed seeing the contents of the blue hood. Had it not ended up sitting in the seat immediately in front of me, I probably wouldn’t have even noticed it and this blog post would not be being written. Instead, I looked up to see a huge blue hood, complete with arms issuing forth from it, one of those huge hoods where the occupant cannot be seen from the side view at all. Who or what was inside that hood? A girl? A boy? An alien? I had no way of knowing. Judging by the arm casually draped over the back of the seat, it was probably fairly young of age, we oldies don’t tend to sit arms akimbo in our bus seats as a general rule. The more I looked at the back of the blue hood, the more curious I became. There was just a shape hidden underneath that hood, head shaped yes but that meant nothing. Oh how I wished the object under the hood would turn around! I was almost tempted to prod the shape in the back in order to cause it to do so, but managed to stop myself in time. It could be anything inside there! I couldn’t even tell if it was male or female. Hmm. Perhaps I would eventually have my curiosity sated and be able to see the occupant of the blue hood when they alighted from the bus! Keeping my fingers crossed that it would alight from the bus before me, I continued to sit there staring at the back of the hood hoping against hope for clues. Ahh! The bell rang, the blue hood arose from its seat in front of me, and much to my annoyance without so much as a glance back down the bus, got off and walked away, blue hooded top covering the whole contents apart from some legs which protruded from underneath. Drat! So next time your busy on the bus or train, gazing down intently at your mobile screen, do remember the strange creature I encountered inside the blue hood won’t you? You never know what your missing! Just a few flakes of snow. That’s all it seems to take to bring the whole country to its knees. 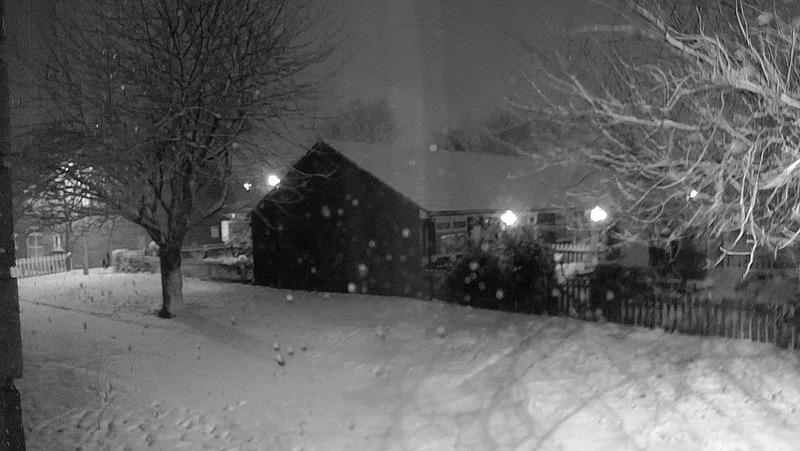 When will the United Kingdom ever be able to cope with a few flakes of snow and not grind to a standstill? Because winters were far harsher when I was a girl, with snow that fell for days, blew into drifts sometimes six feet deep, and necessitated everyone having to ‘dig’ their paths in order to even leave their premises to get to work or school, its so amazing to see how a few inches of snow can devastate a country as it tends to do today. The difference is of course that way back then, we didn’t rely on cars, nor was the whole country planned around car owners. Our place of work was usually a walk away from where you lived, there were no ‘out of town’ industrial sites miles away from any residential area in those days! The same applied to shopping, your local shop catered for all of your needs and was usually again just a short walk away, not incorporated in some ‘vast shopping centre’ miles out of town. It’s our reliance on the car to get us anywhere these days that is the real problem, not the few inches of snow that has fallen. I watched a car owner spend half an hour yesterday clearing his car of snow, he could have walked to town in the time it took to scrape the snow from his vehicle and been far healthier for it into the bargain! I’ve been badly neglecting my blogs of late, in fact I haven’t posted since my trip up to see my eldest son in Scotland which seems an age ago! My readers have no doubt abandoned me, and I don’t blame them in the slightest, but in my defence, I have been ill and my blogs have suffered in the meantime. But now its 2013! A brand new start! A new year in which to blog till I drop! Much has passed during my blogging lull, we spent a long weekend in York, luckily my health stayed fairly stable whilst there, but if we had gone for Christmas as I originally planned, I would have been ill whilst there, and I dread to think how that would have panned out! I’m including a Photo Album of our weekend in York which I hope you all enjoy looking at. We were there for the ice festival, which is an event in itself, but the highlight for me was the carol service on Friday night in the Minster, where I sang my heart out despite my wracking cough, as did Kerri. Christmas day was eventful in that I did manage to make it through the Christmas dinner at our usual venue the Lane Head Hotel, only to find myself transported to hospital as soon as I arrived back home, with a high temperature. Kerri had to pack and head to respite. Luckily they keep an empty room for emergencies such as Mum’s being ill etc. I felt terrible, and although I hate it in Huddersfield hospital, for once I was glad to be there! I’m back home now, still complete with wracking cough which I can’t seem to get rid of, and I am feeling really tired all the time. I’m probably anaemic as I have been expecting the announcement that I needed some blood for some time, the amount I’ve lost via the Fragmin injections and frequent bleeds from cannula’s, blood taken etc. It’s a wonder that there’s any left to take! At our last chemo session, which seems eon’s ago, Kerri and I tried to enter into the Christmas spirit, and at least someone had made an effort to decorate the place to cheer everyone up. McMillan Unit at Christmas time. So that’s what has been happening during the last few months that I haven’t been blogging, now its a brand new year, and I intend to write one blog post every week from now on, no matter how boring or uninteresting! Happy New Year to all my readers who have stuck with me through the silence! Up to Scotland. Kelvingrove Art Museum. 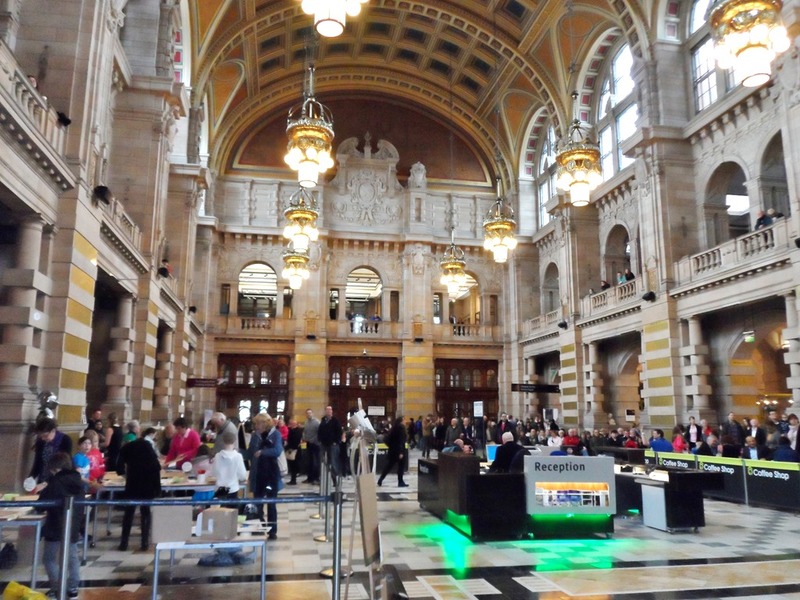 On the Saturday, we all set off to the Kelvingrove Art Museum in Glasgow. I was very excited about our day there, but my youngest grandson was none too keen, as apparently he had visited many times with school, so was a reluctant participant. On arrival, as is usual with this type of venue, we parked up and then my son had to go and buy a permit to display on his car. I didn’t take much notice of whereabouts on the car he attached said permit, as a none car owner, I don’t really notice such things. The building itself was a sight to behold, with ornate statues and carvings above the entrance door. Inside, it was even more elaborately decorated, and it took a while to take the carvings etc in without actually looking at the exhibits on display! 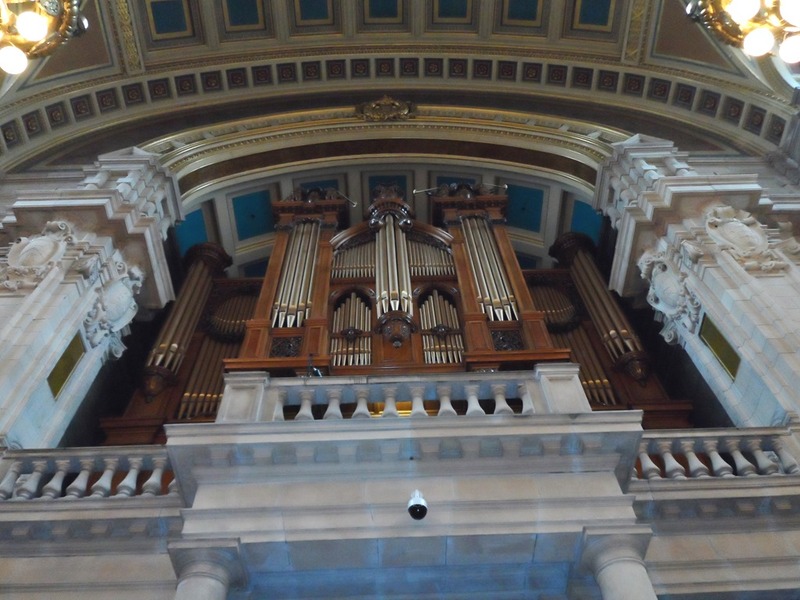 Above the entrance hall as you entered was a full sized organ which was being played by someone who was out of sight as you gazed upwards. The whole place was huge, with countless corridors and exhibit rooms leading off the entrance hall, plus flights of steps taking you to other floors above and below. As you can see from the shots above, the place was packed with visitors, and in the entrance hall, there were lot’s of information available about each exhibit room included in the Museum. It was vast, and it would take easily a full day (or probably more) to see everything. 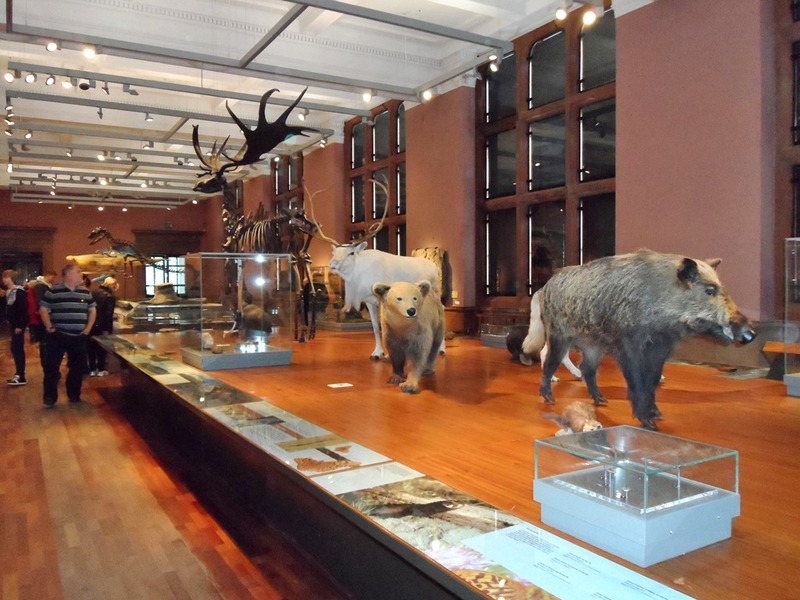 Each separate room seemed to have a different theme attached to it, this room, called ‘Scotland’s Wildlife’ was dedicated to all of the animal species that used to live or reside in Scotland over the centuries. 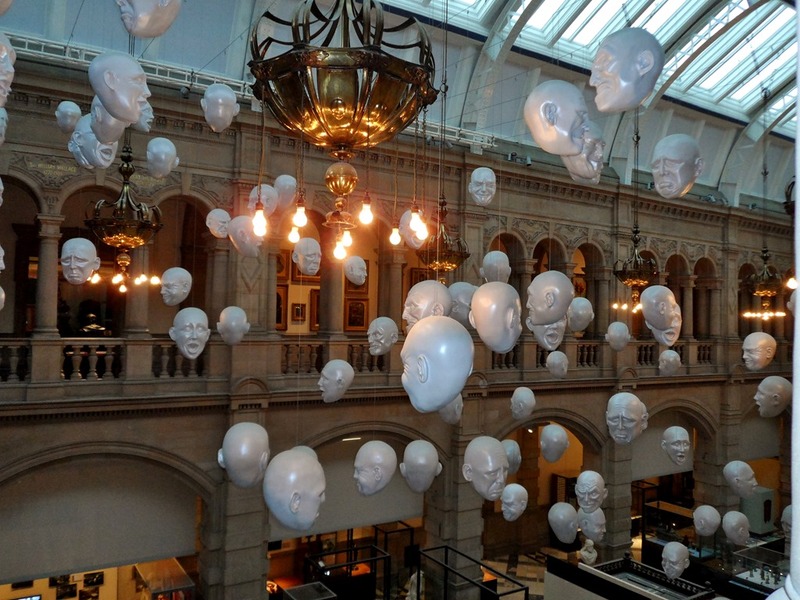 Another area was dedicated to ‘Expressions’ and was adored with loads of ‘heads’ hung above the staircases showing different human expressions. I loved it! 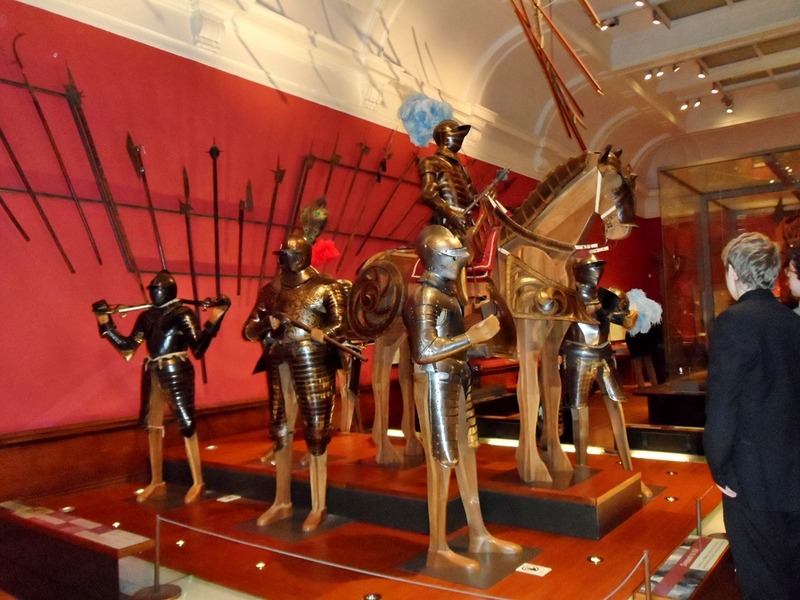 Yet another area was dedicated to ‘Conflict and Consequence’ and was full of armour and weapons of every description. It would have taken a far longer time than we had available to enjoy every aspect of the Museum, we only had time to have a quick glance at the Art Exhibition for example. I did take other photos and they are available in the following photo album. Just click on it to view them all. Scotland. 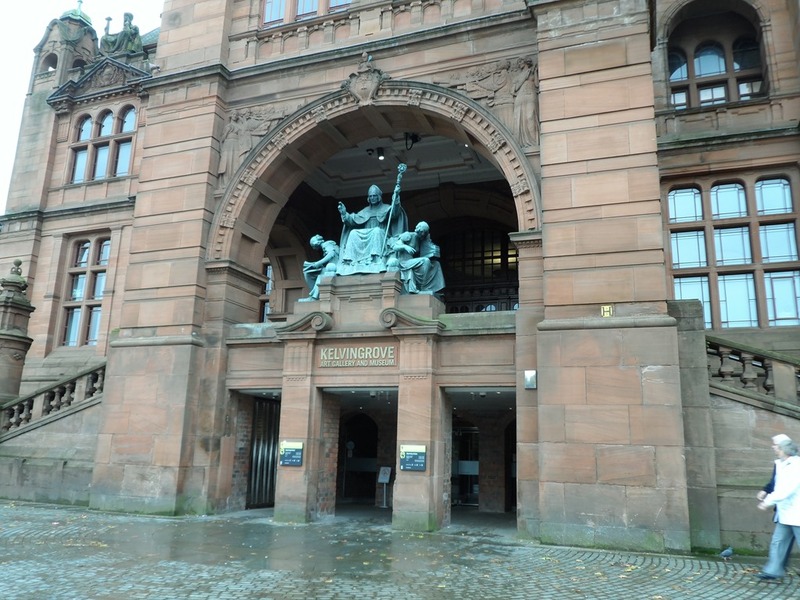 The Kelvingrove Art Museum. However, our visit was spoiled somewhat when exiting the museum, to find a parking ticket had been slapped onto the front of my son’s car, despite the fact that he had paid for a display. He dashed off to find the parking attendants and returned fuming with the knowledge that they had given him a parking ticket simply because he wasn’t displaying the paid for ticket on his front windscreen! He had placed it on the back window instead! This incident rather took the enjoyment of the rest of the Museum away from all of us, so if you find yourself in Glasgow anytime, do pay the Museum a visit but remember! Only place your parking permit on your front windscreen!